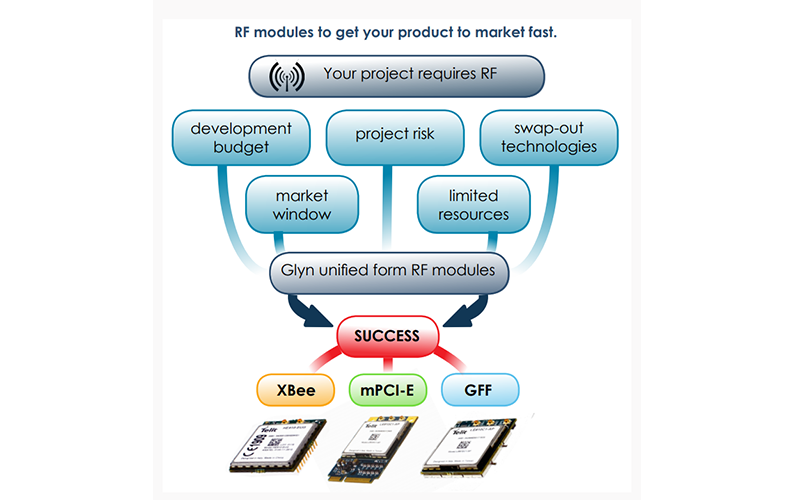 RF modules that are fast to market is what Glyn does….and does well. Electronic products today have a short life-cycle demanding shorter development, lower risks and a faster time to market than ever. More than a dozen years ago this was clear to us at Glyn which is why we developed a strong RF solution path strategy that could keep satisfying these emerging market trends. 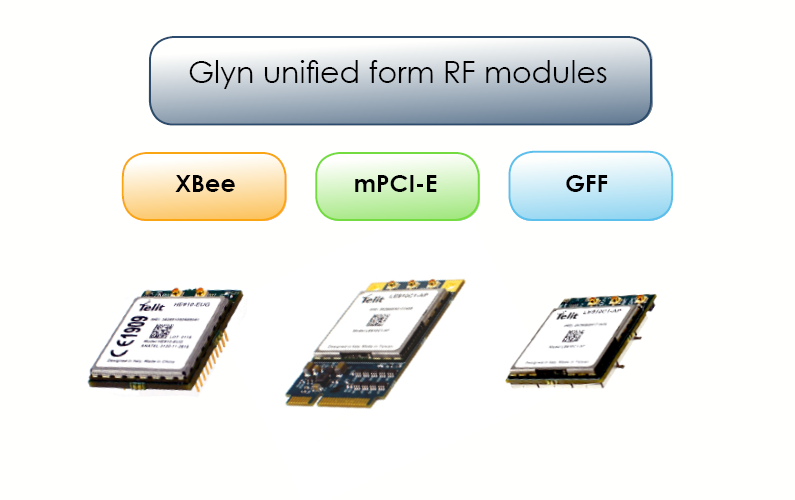 The next logical step for us at Glyn was to develop pluggable card modems for many of the modules we support that was a familiar form factor to engineers such as XBEE, mini PCIe etc. Technologies such as cellular – all types, WIFI, Bluetooth, LoRa and Sigfox are available….please enquire. RF is a fast-developing technology that offers more value for you existing or future products.